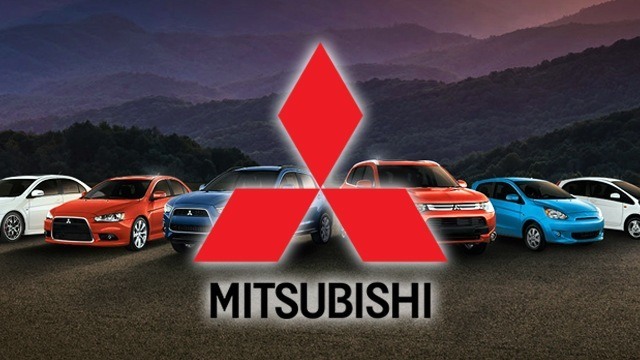 One hundred years since it introduced the Model A, the first car ever to be adorned with the three-diamond emblem, Mitsubishi is now one of Japan’s largest companies and one of the world’s most recognized automobile manufacturers. The 22-car production of Japan’s first series-produced vehicle prefaced the history of Mitsubishi Motors Corp, which grew out of Mitsubishi Heavy Industries. 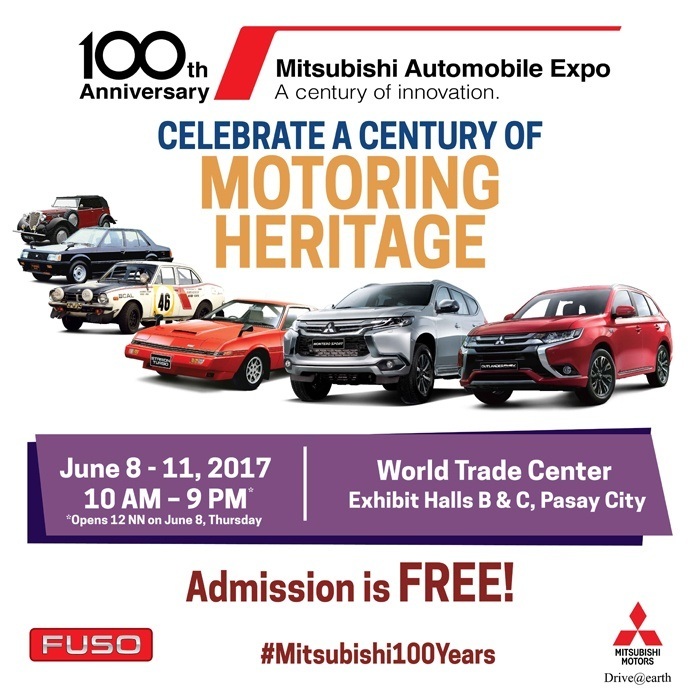 To celebrate the milestone, Mitsubishi Motors Philippines Corp. (MMPC) is holding a grand expo happening now until June 11, 2017 at the World Trade Center, Pasay City. The Mitsubishi 100 Years Anniversary Expo is a motor show that showcases the company’s rich history and 100 years of innovation. Iconic cars, rally cars and MMPC’s current vehicle line-up are on display as well as actual vehicles from the Mitsubishi Auto Gallery located in Okazaki, Japan. MMPC will also bring in the 1937 Race Circuit Car, the 1985 Paris-Dakar Rally winner Pajero #189, WRC Lancer 2005 and the Outlander PHEV which won the 2015 Baja Rally. Those who would like to feel what it’s like to drive a Mitsubishi can do so through test drives, which will happen from 10 a.m. to 6 p.m. for the duration of the expo. Customers can get behind the wheel of the new Montero Sport, Strada, Pajero and Mirage. MMPC will also include in the roster of available test units the pure electric vehicle – iMiEV and the Outlander Plug-In Hybrid Vehicle (PHEV). Those who missed the series of Montero Sport Head to Head test drive last year will have a chance to once again test and compare the Montero Sport with competing brands. The Mitsubishi Automobile Expo is designed not just for car enthusiasts, but for the whole family. There are live performances from some of the country’s most popular bands and DJs, as well as appearances by Mirage brand ambassadors Maine Mendoza and Alden Richards, and internet action star Ramon Bautista on Saturday afternoon (June 10). MMPC will also treat its loyal customers and car clubs as they gather for the first Mitsubishi Owners Day. Kids, meanwhile, will also enjoy the event with fun games and a kids park organized by Nickelodeon and special appearances of Nickelodeon’s Paw Patrol on Saturday and Sunday. For art lovers, artist Fernando Sena will conduct an art workshop on June 11 from 1 p.m. to 3 p.m. A Safety and Driving Etiquette Seminar will also be conducted during the expo. The Mitsubishi 100 Years Anniversary Expo is open to the public from 12 noon to 9 p.m. on June 8 and from 10 a.m, to 9 p.m. on June 9 to 11. Admission is free. Who are the Highest-Paid Presidents of State Universities and Colleges?